The Canadian province of Ontario is home to some of North America’s most popular travel destinations, including cosmopolitan Toronto, the nation’s capital, Ottawa, and the majestic Niagara Falls. And while it may seem counter intuitive, winter is actually a great time to visit this versatile state. Even on weekends in the winter, you’ll likely have this natural wonder all to yourself. Skip the summer lines at Journey Behind the Falls and peek past the icicles as 19 million gallons of water rush over the falls every minute. In the winter, entry is only $10.20 (versus $14.45 in the summer). Or, you can purchase the Niagara Falls Wonder Pass for $18.05, which includes entry to the popular Butterfly Conservatory – a great way to warm up in the winter – and Niagara’s Fury, an educational exhibit about the history of the Falls. Winter is ice wine season in Ontario. The province is the world’s largest producer and exporter of this sweet delicacy, which is made from grapes that are frozen while they're still on the vine. Every January, the town of Niagara-on-the-Lake hosts the Niagara Icewine Festival, showcasing the region’s best ice wines and local foods. 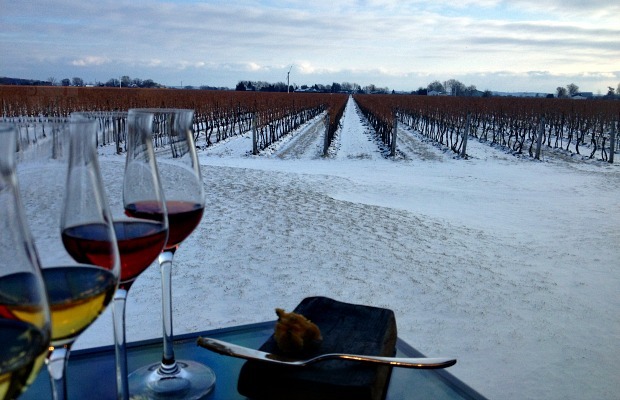 Even if you can’t make if for the festival, vineyards such as Reif and Trius offer affordable ice wine tastings and tours throughout the winter. Head to Ottawa for three weeks of outdoor activities at Winterlude. (This year, it's January 31 to February 17.) The annual event offers skating on the longest ice rink in the world, ice sculpture competitions, and North America’s largest snow playground – all for free. Plus, there’s dog sledding and snowshoeing just two hours north of Toronto, in Muskoka. In winter, you’ll find it easier to get a table at of Toronto's most popular restaurants, including the much-hyped Café Boulud, which is located inside the luxe Four Seasons. It's a great choice for a splurge-y dinner or Sunday brunch. Plus, each year in February, Toronto hosts Winterlicious, a 2-week event offering visitors and locals alike a chance to experience the city’s best restaurants with lunch menus starting at just $13.60 and dinner starting at $22.65. Exchange rates are favorable for U.S. travelers at the moment. They're the best since October, 2009 in fact. Currently, you will get about $1.10 CAD for $1 USD. 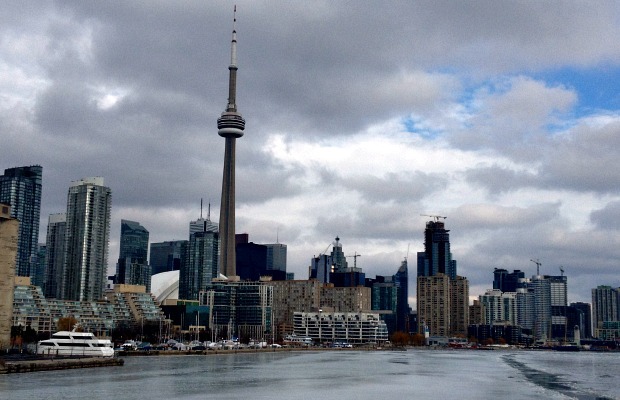 Ottawa: Get a third night free for last-minute travel through January 31. Toronto: The Courtyard by Marriott in downtown Toronto is offering last-minute stays for under $100 per night with a 2-night minimum stay. In late February, both Hotel Victoria and the Bond Place Hotel have rates starting at $89.50 a night. Niagara-on-the-Lake: The cozy Charles Inn is offering an Escape to Wonderland package, which includes breakfast, spa, and dining credits, and wine tasting vouchers (from $262 per night). Vintage Hotels (a collection of three boutique hotels), is promoting a 2-night Escape the City package. For $229 per night, you’ll receive accommodation, some meals, and winery tasting passes. Flights: Porter is offering last-minute weekend flights to Toronto from $140 each way from select East Coast cities, including all taxes, delicious meals or snacks, access to their airport lounges, and free shuttle to downtown Toronto. All prices in this piece are listed in USD.